How Do I Buy A Business When I Have No Money? Too many folks get in their own way when it comes to buying a company. In fact, they usually stop it before they start. The biggest reason has to do with money…or lack thereof. We hear this all the time when it comes to buying a company. On tonight’s show we shared several stories about current business coaching clients as well as other potential clients who we’ve spoken with just in the last week alone about how to buy a company. And doing it without putting down a ton of money. The key with buying anything, whether it be a car, house, or a business, is buying it right. One of the biggest mistakes to avoid when it comes to buying a company is to make sure you don’t get emotionally involved as the potential buyer. Keep in mind that the seller is already very emotionally involved, it’s their business after all. One of the ways to avoid this emotional commitment is get to the point of making an offer sooner vs. later. The first question you need to answer when it comes to buying a company is, “Would you take it if they gave it to you?” Keep this question in mind as you’re looking at the potential company to purchase. Simply “giving it to you” can take a lot of different forms. The seller could play the role of the bank and you as the buyer pay them out of the future profits of the business, so the business literally pays for itself. Or, the offer could be so low, say a few thousand dollars, that it’s basically equivalent to someone giving it to you. The point is, don’t use not having a nest egg of money as an excuse for not buying a company! To Sue Or Not To Sue? How Do You Know When The Time Is Right To Put Up A Fight Or Settle? How Do You Break Free From The Hourly Mentality? Welcome to Dirty Secrets of Small Business…this show’s mission is to give you the knowledge, tools and power to achieve success whether you’re starting a small business or already have one. 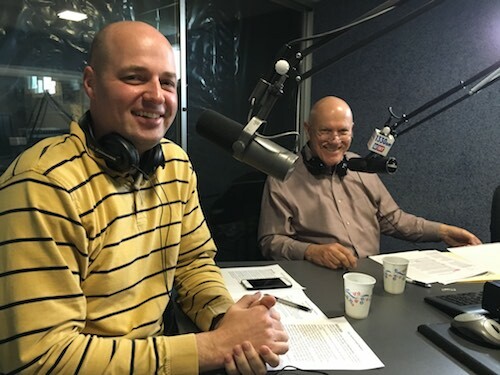 Jack Mencini and Adam Sonnhalter of Maximum Value Partners are the radio show’s hosts.Each week they will be talking business—small business. Drawing on their collective experience having owned and operated 20 small companies and coached and advised for hundreds more, Dirty Secrets of Small Business will debunk the common myths of business ownership, expose the impact of government regulation, share small business success stories and reveal the Dirty Secrets of Small Business. Don’t miss our weekly episodes. Subscribe now! We make each episode available as a podcast through iTunes and almost every popular mobile podcast app. We’re live every Wednesday at 7:00 PM on WINT 1330AM or anytime here on our website or via iTunes. © 2019 Dirty Secrets of Small Business. All Rights Reserved.